Coming up will be the fly season with the annual dilemma of what to use and what works best! 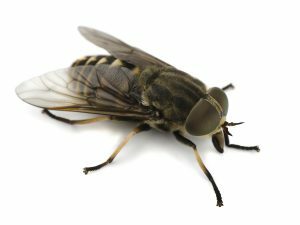 Firstly the enemy… flying insects which affect horses include; Midges, Black fly, Bot fly, Horse fly, Crab fly, Stable and House flies. Generally flies lay eggs in organic material such as faeces, so ensure paddocks are kept as clean as possible and that the muck heap as far as possible from the paddock, and NOT near the stable. Stagnant water, found around drinking troughs, is a good midge breeding area. 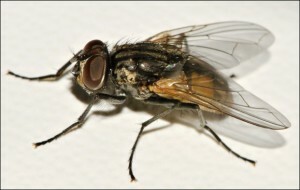 Flies can be broadly divided into Nuisance, surface feeders, found around the eyes and face where secretions are produced. Or Biting flies who process mouth parts to puncture the skin and create more intense itch problem, swelling and pain, whilst the bigger Horse flies actually slash the skin to feed. Stable fly (Stomoxys spp.) 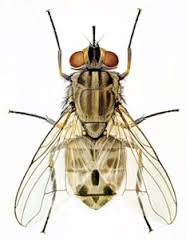 are surface feeding biting flies and can be carriers of the stomach worm Habronema spp. and the eye worm Thelazia, whose larvae can cause lesions in the conjunctiva of the eye. 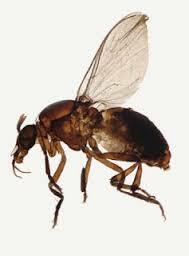 These flies are active during the day, breeding in organic material, with peak populations in late summer. 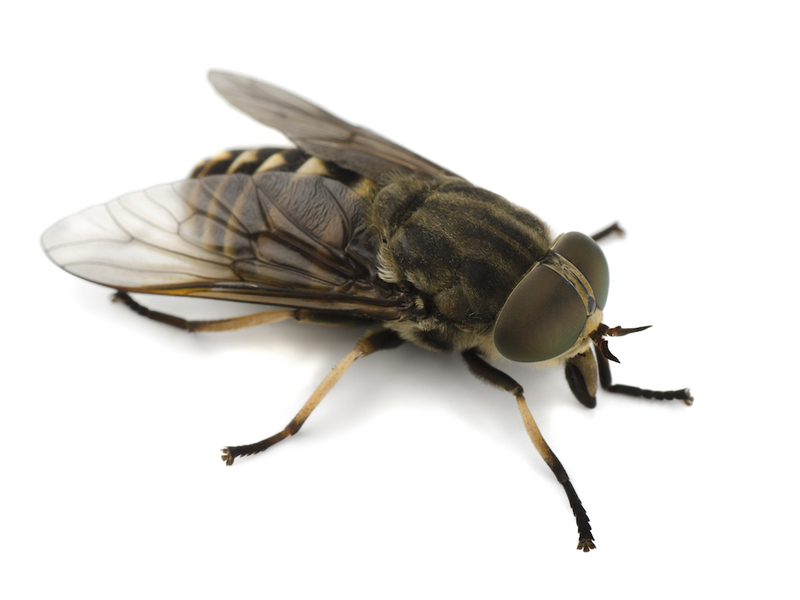 Stable flies can give a painful bite and most annoying pest around eyes and lower limbs. Horse Flies (Tabanus spp.) inflict a painful bite by slashing, as opposed to biting, the skin then mopping up the blood released. 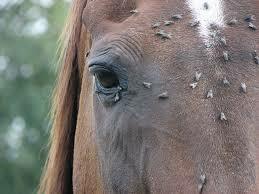 Horse fly bites tend therefore to be larger and create greater skin reactions. Adept at flying and persistent in their quest for blood! Their population peaks around late July to early August. Crab flies (Hippoboscidae spp.) 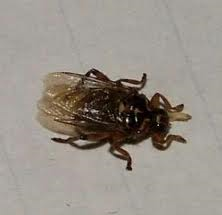 are blood sucking flies resembling large lice. Horses exposed to these flies persistently, such as in the New Forest, tolerate the flies well whilst naïve animals suffer intense irritation. These flies are ‘wingless’, so remain on their host, clambering over the body with crab like movement. Midges (Culicoides spp.) are most active at dawn and dusk. Their bites and the injection of saliva into the skin cause an allergic skin condition known as Sweet itch. 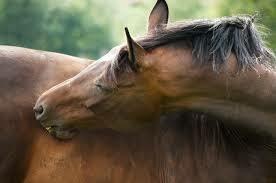 Susceptible animals will rub manes, tails and bellies causing skin damage. The disease is covered more fully in another section of this web site. 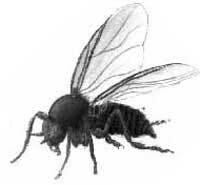 Black fly (Simulium spp.) are small, dark flies with humped backs, found commonly inside ear and under the belly. Their blood sucking causes bloody crusting in these areas and they may be the carrier of the virus that causes aural plaques. The House or Face fly (Musca spp.) feeds around the body, lower limbs, face, muzzle and around the corners of the eye, especially when mild conjunctivitis is present, from pollens or when sweat is not properly washed off the body. These flies breed in dung and decaying organic matter so ensuring general hygiene around the stable and field is important. 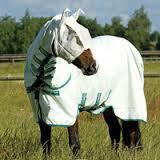 Prevention of exposure is often the most successful approach to insect challenge… Rug up, Cover up! A good ‘Midge proof’ rug covering mane, tail base and with a wide belly band will go a long way to preventing most insects biting your horse. The rug material should be fine enough to prevent insects biting through the rug, though perforated enough to allow heat evaporation. A hood covering face and ears will deter Black fly and the nuisance surface flies. Persuading your horse to keep the hood on may be another matter! Everyone has their own special formula or preferred chemical insecticide. These may work geographically and seasonally as insect populations will vary throughout the year. Natural insecticides such as Marigold, Citronella, and Neem Oil are often included in repellents. These products may rely on smell to deter or confuse insects or even have a direct insecticidal action. Their action will be short lived so require daily/ twice daily applications. Be cautious of overzealous application of oil based products that may cause sunburn. Then there are synthetic pyrethroids such as permethrin, cypermethrin and DEET. These compounds are more efficacy and longer duration though may need still to be applied weekly. Pyrethroids may need applying regularly as they are broken down by sunlight. The addition of Piperony will lengthen the action of pyrethroids. N,N-Diethyl-meta-toluamide, also called DEET is another commonly included insect repellent. DEET simply smells so bad to insects as to repel them! Permethrins may be safe to apply to rugs though DEET can damage synthetic materials. Some animals may be sensitive to these chemicals so always test the product on a small area first.